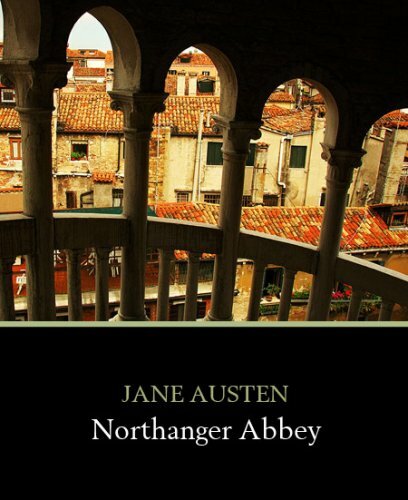 I just finished Austen's Northanger Abbey. I had never read it before, having only consumed Pride & Prejudice, Sense & Sensibility, and Persuasion. Either I am unaccustomed to her style, or this just was not one of my favorites. I enjoyed the book, although the situational comedy of the first half of the book, with its rather ridiculous, superficial characters became rather trying before too long. That it was a parody of the Gothic novels of the times was quite clever, and I undoubtedly would have appreciated the parody all the more had I been more familiar with the plot devices of such novels, although the novel itself alludes to and pokes fun at the plots enough to have understood the basic premises of such fiction. Catherine is well-versed in such novels, and seems to allow her over-active imagination, combined with her stunning naivete, to convince herself that her fantastical notions of murder and deceit are not only possible, but probable. She eventually learns to be more discerning of the characters of those she meets, and no one can be cross with her for long. Catherine is not as pretty or clever as P&P's Elizabeth, but she is perhaps warmer, less guarded and more affectionate, whose naive honesty seemed refreshing in the battles of wits the object of her fancy subjected her to, despite that she could not always follow his hints. Overall, I enjoyed the novel. It was a very light and fast read, and rarely delved into much seriousness. The conclusion, albeit a bit hurried, did not disappoint.